Hannah Horne and Katie Moody are dissecting a sting-ray. 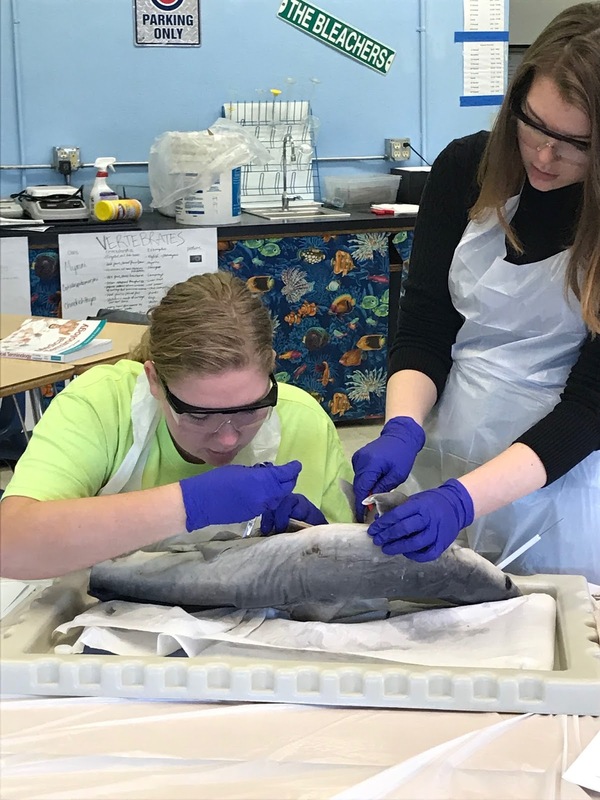 Alexis Uldrich and Katie Moody are dissecting a dogfish shark. Zoology Students at E-M are currently studying fish. In this class, we are comparing the anatomy of several species. 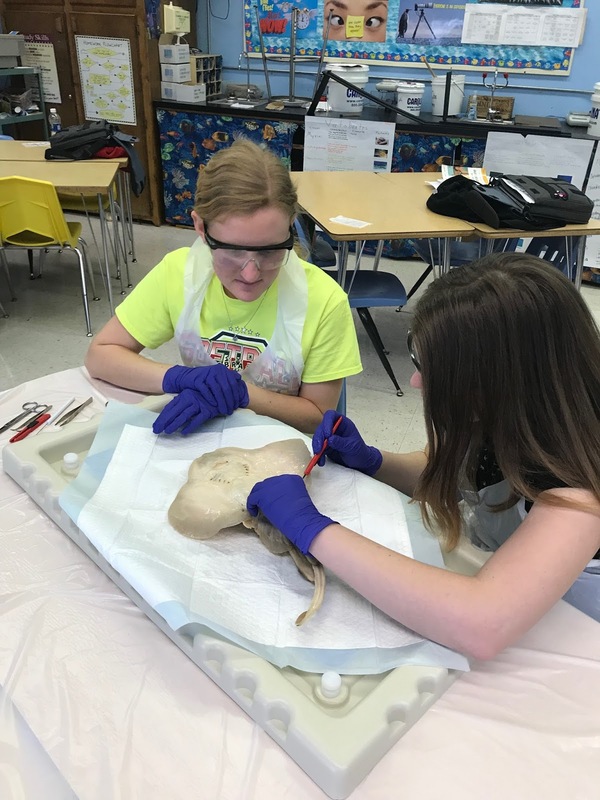 This week students have had the opportunity to dissect a dogfish shark, a sting-ray, and a skate to study the types of cartilaginous fish. We will also dissect a perch to look at a ray-finned bony fish. Good thing we aren’t having fish for lunch anytime soon!